Li W, Su HN, Pu Y, Chen J, Liu LN, Liu Q, Qin S.
Roles of RbcX in carboxysome biosynthesis in the cyanobacterium Synechococcus elongatus PCC7942. Huang F, Vasieva O, Sun Y, Faulkner M, Dykes G, Zhao Z, Liu LN*. Featured in Media: University News, Weixin (cn), Plantae. Nanoscale visualization of bacterial microcompartments using atomic force microscopy. Rodriguez-Ramos J, Faulkner M, Liu LN*. Engineering and modulating functional cyanobacterial CO2-fixing organelles. Fang Y, Huang F, Faulkner M, Jiang Q, Dykes GF, Yang M, Liu LN*. Insights into the origin of distinct medin fibril morphologies induced by incubation conditions and seeding. Davies HA, Lee CF, Miller L, Liu LN, Madine J.
Dissecting the native architecture and dynamics of cyanobacterial photosynthetic machinery. Casella S, Huang F, Mason D, Zhao GY, John GN, Mullineaux CW, Liu LN*. Featured in Media: University News, Weixin (cn). Direct characterization of the native structure and mechanics of cyanobacterial carboxysomes. Faulkner M, Rodriguez-Ramos J, Dykes GF, Owen SV, Casella S, Simpson DM, Beynon RJ, Liu LN*. Featured in Media: ScienceDaily, ScienceNewsLine, Nano Magazine, Phys.org, EurekAlert!, University News. Supramolecular architecture of photosynthetic membrane in red algae in response to nitrogen starvation. Zhao LS, Su HN, Li K, Xie BB, Liu LN, Zhang XY, Chen XL, Huang F, Zhou BC, Zhang YZ. Light modulates the biosynthesis and organization of cyanobacterial carbon fixation machinery through photosynthetic electron flow. Sun Y, Casella S, Fang Y, Huang F, Faulkner M, Barrett S, Liu LN*. Visualization of bacterial microcompartment facet assembly using high-speed atomic force microscopy. Sutter M, Faulkner M, Aussignargues C, Paasch BC, Barrett S, Kerfeld CA, Liu LN*. Featured in Media: Technology.org, WeeklyHotNews, TJS Kitchen Appliances, University News. Distribution and dynamics of eand dynamics of electron transport complexes in cyanobacterial thylakoid membranes. Revised genome sequence of the purple photosynthetic bacterium Blastochloris viridis. 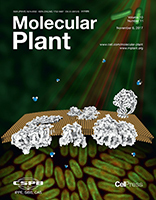 Liu LN*, Faulkner M, Liu X, Huang F, Darby AC, Hall N.
Adaptation and regulation of photosynthetic apparatus in response to light. Casella S, Huang F, Liu LN. Handbook of Photosynthesis, Third Edition. CRC Press, US, edited by Mohammad Pessarakli. 2016, 53-63. Oxidative stress alters morphology and toxicity of aortic medial amyloid. Davies HA, Phelan MM, Wilkinson MC, Migrino RQ, Truran S, Franco DA, Liu LN, Longmore CJ, Madine J.
CLL exosomes modulate the transcriptome and behaviour of recipient stromal cells and are selectively enriched in miR-202-3p. Farahani M, Rubbi C, Liu LN, Slupsky JR, Kalakonda N.
Localisation and interactions of the Vipp1 protein in cyanobacteria. Bryan SJ, Burroughs NJ, Shevela D, Yu J, Rupprecht E, Liu LN, Mastroianni G, Xue Q, Llorente-Garcia I, Leake MC, Eichacker LA, Schneider D, Nixon PJ, Mullineaux CW. Phycobilisome mobility and its role in regulation of light-harvesting in red algae. Kana R, Kotabova E, Lukes M, Papacek S, Matonoha C, Liu LN, Prasil O, Mullineaux CW. The architecture of Rhodobacter sphaeroides chromatophores. Scheuring S, Nevo R, Liu LN, Mangenot S,genot S, Charuvi D, Boudier T, Prima V, Hubert P, Sturgis JN, Reich Z.
Single-molecule in vivo imaging of bacterial respiratory complexes indicates delocalized oxidative phosphophorylation. Llortente-Garcia I, Lenn T, Erhardt H, Harriman O, Liu LN, Robson A, Chiu SW, Matthews S, Willis N, Bray C, Lee SH, Shin JY, Bustamante C, Liphardt J, Friedrich T, Mullineaux C, Leake M.
Delocalised electron transport and chemiosmosis in Escherichia coli. Mullineaux CW, Lenn T, Llortente-Garcia I, Erhardt H, Harriman O, Liu LN, Friedrich T, Leake M.
Investigation of photosynthetic membrane structure using atomic force microscopy. Control of electron transport routes through redox-regulated redistribution of respiratory complexes. Liu LN*, Bryan SJ, Huang F, Yu JF, Nixon PJ, Rich PR, Mullineaux CW. Featured in media: ScienceDaily and ScienceNewsline: Biological Switch Paves Way for Improved Biofuel Production; RenewableEnergyWorld and EcoMagination: Illuminated Bacteria Enlighten Biofuel Production. High-resolution AFM imaging of native biological membranes. Forces guiding assembly of light-harvesting complex 2 in native membranes. Liu LN, Duquesne K, Oesterhelt F, Sturgis JN, Scheuring S.
Native architecture of the photosynthetic membrane from Rhodobacter veldkampii. 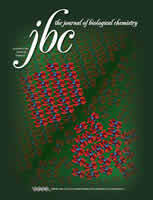 Liu LN, Sturgis JN, Scheuring S.
High resolution imaging and manipulation of membrane proteins. Buzhynskyy N, Liu LN, Casuso I, Scheuring S.
Quinone pathways in entire photosynthetic chromatophores of Rhodospirillum photometricum. Liu LN, Duquesne K, Sturgis JN, Scheuring S.
FRAP analysis on red alga reveals the fluorescence recovery is ascribed to intrinsic photoprocesses of phycobilisomes than large-scale diffusion. Liu LN, Aartsma TJ, Thomas JC, Zhou BC, Zhang YZ. Probing the pH sensitivity of R-phycoerythrin: Investigations of active conformational and functional variation. Liu LN, Su HN, Yan SG, Shao SM, Xie BB, Chen XL, Zhang XY, Zhou BC, Zhang YZ. Watching the native supramolecular architecture of photosynthetic membrane in red algae: Topography of phycobilisomes, and their crowding, diverse distribution patterns. Liu LN, Aartsma TJ, Thomas JC, Lamers GEB, Zhou BC, Zhang YZ. Dimers of light-harvesting complex 2 from Rhodobacter sphaeroides characterized in reconstituted 2D crystals with atomic force microscopy. Liu LN, Aartsma TJ, Frese RN. Light-induced energetic decoupling as a mechanism for phycobilisome-related energy dissipation in red algae: a single molecule study. Liu LN, Elmalk AT, Aartsma TJ, Thomas JC, Lamers GEB, Zhou BC, Zhang YZ. Structure and organization of phycobilisomes on membranes of the red alga Porphyridium cruentum. *Arteni AA, *Liu LN, Ajlani G, Aartsma TJ, Zhang YZ, Zhou BC, Boekema EJ. Characterization, structure and function of linker polypeptides in phycobilisome of cyanobacteria and red algae: an overview. Liu LN, Chen XL, Zhang YZ, Zhou BC. One-step chromatography method for efficient separation and purification of R-phycoerythrin from Polysiphonia urceolata. Liu LN, Chen XL, Zhang XY, Zhang YZ, Zhou BC. Factors that effect antioxidant activity of C-phycocyanins from Spirulina platensis. Zhou ZP, Liu LN, Chen XL, Zhang YZ, Zhou BC. Effects of light, denaturants and pH on anht, denaturants and pH on antioxidant activity of allophycocyanin in Spirulina platensis. Zhou ZP, Liu LN, Chen XL, Zhang XY, Zhang YZ, Zhou BC. Oceanologia et Limnologia Sinica, 2005, 36 (2): 179-185. Effects of hirudin for the thrombin-induced expression of adhesive molecules in neutrophils and human umbilical vein endothelial cells. Wang M, Cui LQ, Wang XJ, Han QX, Liu LN. Chinese J New Drugs, 2005, 14(8): 989-992. The study on the factors influencing the stability of the phycocyanin in Spirulina liquor. Liu LN, Huang F, Huang YL. Effect of CHAPS on the stability of Spirulina platensis phycobilisomes. Zhang XY, Liu LN, Chen XL, Zhang YZ, Zhou BC. Spectroscopy and Spectral Analysis, 2004, 24: 1224-1226. The study of the stability of phycobilisomes in algae, Spirulina platensis. Marine Science, 2004, 28: 38-42. 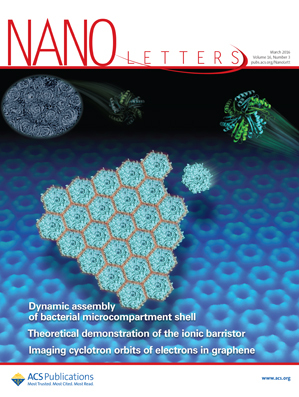 Self-assembly dynamics and functional regulation of bacterial microcompartments. The 9th International Symposium on Inorganic Carbon Utilization by Aquatic Photosynthetic Organisms, Cambridge, UK, 15 August, 2016. Light modulates the biosynthesis and organization of cyanobacterial caon of cyanobacterial carbon fixation machinery. The 17th International Congress on Photosynthesis Research, Maastricht, Netherlands, 10 August, 2016. Probing self-assembly of bacterial microcompartments using high-speed atomic force microscopy. British Biophysical Society 2016 Biennial Meeting, Liverpool, UK, 7 July, 2016. Supramolecular organisation and adaptation of photosynthetic machinery. Shanghai Institutes for Biological Sciences, Chinese Academy of Science, Shanghai, China, 9 May, 2013. Unravelling the supramolecular organisation and interactions of the native photosynthetic apparatus by AFM. Université de Lorraine, Nancy, France, 5-7 Nov, 2012. 17th European Bioenergetics Conference, Freiburg, Germany, 15-20 September, 2012. Control of electron transfer ansfer routes through redistribution of respiratory complexes. Biochemical Society Christmas Bioenergetics Meeting, Imperial College London, UK, 16th December 2011. Supramolecular architecture, assembly and dynamics of native photosynthetic membranes. School of Life Sciences, University of Science and Technology of China, November 2011. The in vivo localisation of NDH-1 complexes in cyanobacteria. 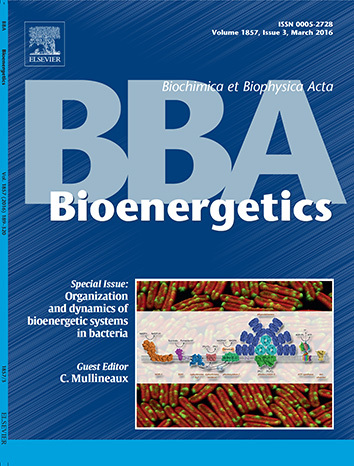 Molecular Bioenergetics of Cyanobacteria: From Cell to Community, Spain, April 2011. High-resolution AFM of the bacterial photosynthetic apparatus. The 12th International Scanning Probe Microscoscopy Conference, Sapporo, Japan, May 2010. The architecture and organization of phycobilisomes on the photossynthetic membrane in red algae using atomic force microscopy. Gordon Research Conference on Photosynthesis, Smithfield, US, August 2009. Copyright @ 2013 Liu Lab | Designed by Luning Liu.